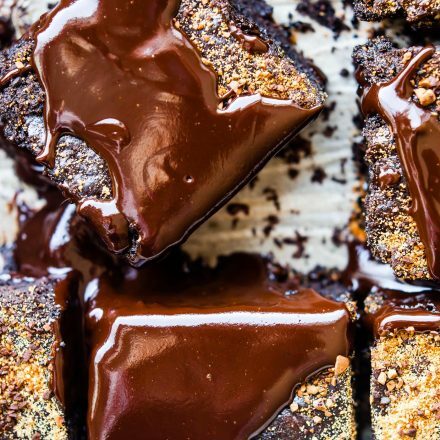 Dirty Chai Dark Chocolate Flourless Brownies! Decadent fudge brownies that are easy to make with simple ingredients. No flour needed. A dirty chai tea latte is mixed right in the batter then topped with dark chocolate espresso ganache! Rich, chocolaty flourless brownies. Dairy free, gluten free, and paleo friendly! And this is how we celebrate a short work week. 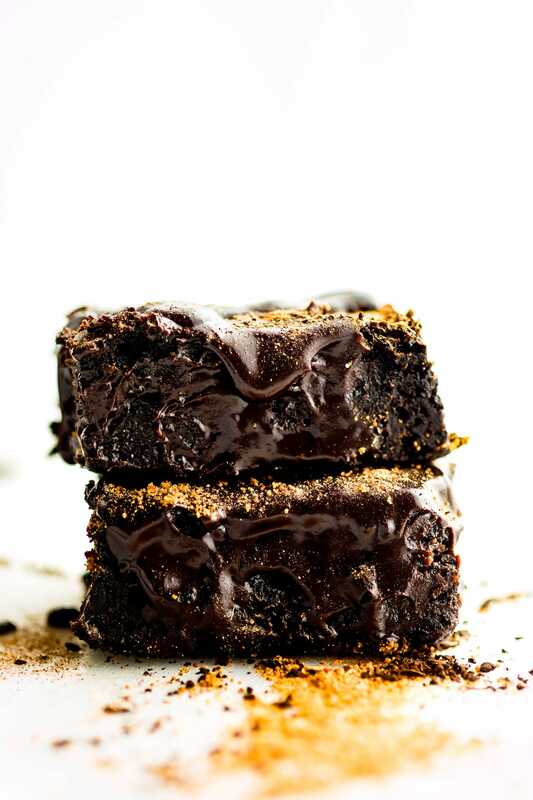 Dirty Chai Flourless Brownies. 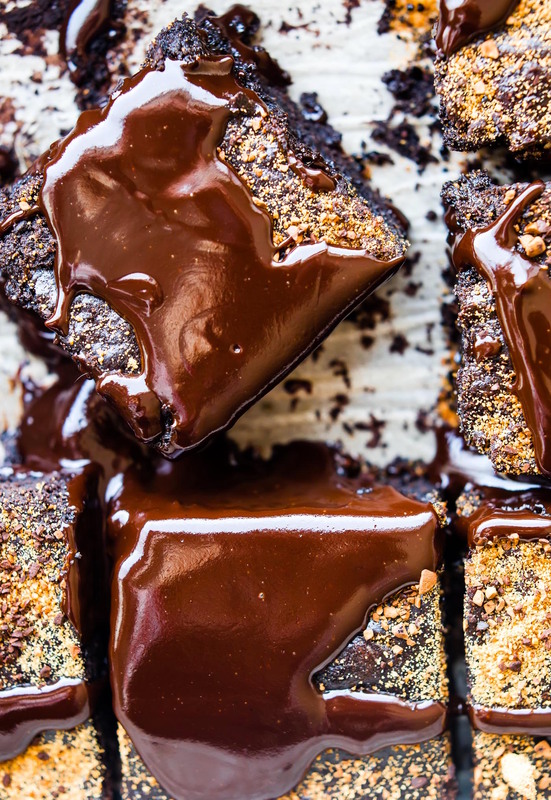 Dirty Chai Dark Chocolate Flourless Brownies. 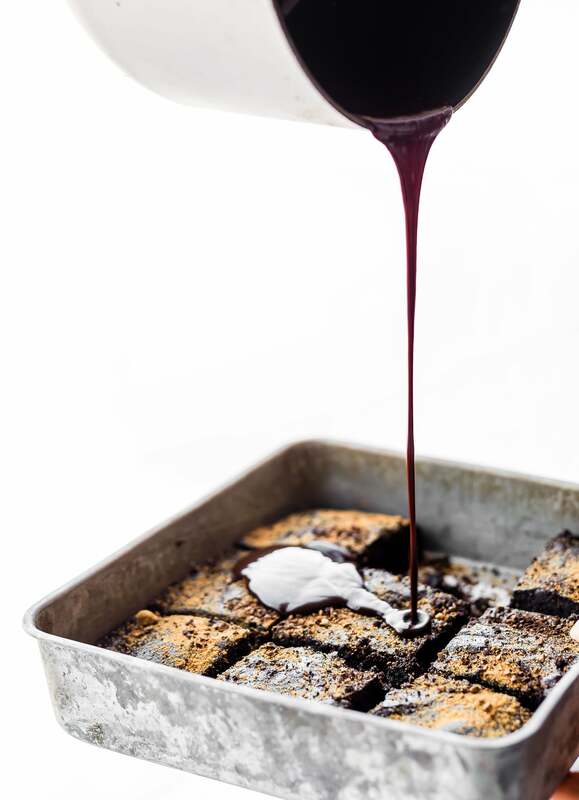 Dirty Chai Flourless Brownies with dark chocolate espresso ganache. Yes. ALL OF THE ABOVE! Cause that’s exactly what these are. Except totally easy to make so don’t go run off yet. Mmm k? I sit here, kinda on a caffeine high, about to admit to you that I lived off of red wine and these flourless brownies the week when just about everything in life went haywire! I won’t go into details. That’s not necessary. But I do want to say this. We all ARE HUMAN. And sometimes, you give in. You give in to exhaustion and cravings without the guilt. Here’s why. Or here’s why I, a gluten free nutrition specialist, am telling you to eat the brownie. One. The body is SO SMART. It’s gonna crave what it wants when it’s under stress. Usually that’s rich food. Hopefully is gluten free food. LOL! But I digress. What I mean to say is that when you (I) try to push back the intensity of the craving, it can result in mass explosion. Which is not good, right? I say a little goes a long way. So give in, just may be not give into the whole pan of brownies. Two. I’m a full believer that there are seasons of life you just know are going to be hard. You cope or make a coping plan. And at the same time, you make a recovery plan; whether it be with rest or some other form of recovery. Such as going on vacation, getting a weekly massage, taking a personal day or week from work, planning a few weeks of superfood meals, vitality drinks, or anti-inflammatory rich meals, etc. And three. Guilt takes more energy. Drop it. Drop it likes it hot. I’m telling myself that too. Isn’t it so true though? That guilt causes more stress, more anxiety, more crazy woman syndrome. Been there. Done that. Ya, not gonna take that on anymore. You feelin it? So yes, I confess on living off of red wine and flourless brownies for a week. Yes, I am human. And yes, I will totally be eating the rainbow this week. Haha, because I WANT TO. Phew, now that’s off my chest. I really do want to chat about these brownies. Obviously they are special to me. 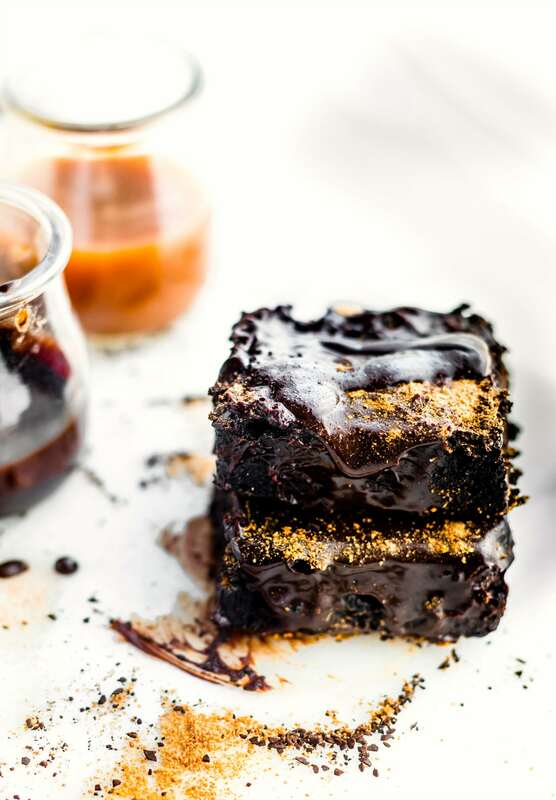 Dirty Chai and Dark chocolate ganache, how can you go wrong with that type of brownie? Well, because I’m feeling feisty and caffeinated, I’d also like to mention that these flourless brownies do have some health benefits. Besides the health benefit on meeting my emotional needs last week. haha! They are loaded with antioxidant rich ingredients! Chai Tea: A tea loaded with healthy spices- Cardamon, cinnamon, black pepper, ginger, and clove oh my. P.S did you know cardamon helps with digestion, strengthens the immune system? NEEDED! Espresso: Studies have shown that espresso, the good kind, and in small amounts, can reduce the risk of diabetes. Dark chocolate: Besides the fact that it’s AMAZING, dark chocolate has tons of plant power antioxidants. Not to mention oleic acid (heart-healthy monounsaturated fat) which comes from the cocoa butter. See, these nerdy nutrition facts all cover up the wee bit amount of extra “unrefined” sugar. That may be stretching the truth, but I’m going it. No guilt about it. Haha! Oh before you make these, you should know I made 2 batches of these brownies. One with butter and the other coconut oil. Both delicious but the coconut oil was more moist. I liked the butter one. Also, you might have leftover ganache. Not a bad problem. Decadent fudge brownies that are easy to make with simple ingredients. No flour needed. A dirty chai tea latte is mixed right in the batter then topped with dark chocolate espresso ganache! Rich, chocolaty flourless brownies. Gluten free, dairy free friendly and paleo friendly! Preheat oven to 350F. Line the bottom of an 8×8” square baking pan with parchment paper and grease the edges. Set aside. In a small pot, bring your almond milk to a quick boil then steep your chai tea bags in it for 4 to 6 minutes. The longer you steep, the stronger the chai taste. Remove tea bags. 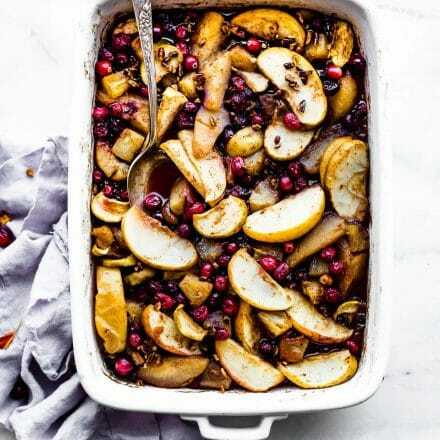 In the same pot, add your coconut oil or butter, dark chocolate chips, and maple syrup. Heat on medium until butter and chocolate chips are mixed together with the chai latte. It should look like a creamy chocolate sauce once melted. Set aside. Next, in a small bowl, sift together your arrowroot starch, cocoa powder. Add your cardamon, salt, and instant espresso. Mix again and set aside. Using a stand mixer or small bowl with handheld mixer, beat the eggs, sugar, and vanilla together for a few minutes. It should create a smooth caramel color. Slowly add in your chai chocolate sauce and mix on low until creamy. Finally, add your in arrowroot/espresso/cocoa powder mix. Mix/Beat on low until a thicker batter is formed. Scrape side if you need too. Pour into your 8×8 pan. Spread the batter out evenly with a spatula and place in over for 22- 27 minutes, or until the top is set and a toothpick inserted in the center comes out clean. After the brownies are done and baked, set them aside to cool for 10 minutes while you make your ganache. You can make the ganache on the stove top or microwave. 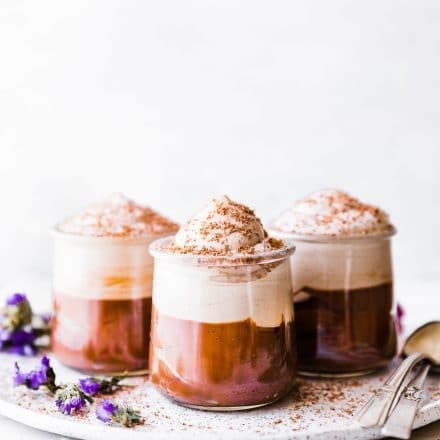 Simply melt together 2 ounces coconut milk or cream, 2 tsp espresso, cinnamon, and 1/2 cup dark chocolate chips on medium heat in sauce pan, mixing while it melts. Or microwave in 30 second increments, mixing after 30 seconds, until melted. 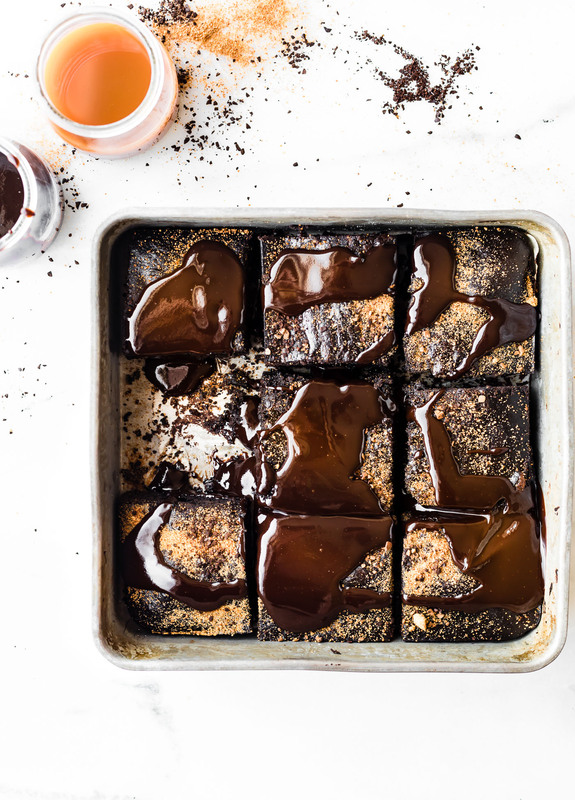 Drizzle the ganache over brownies once melted. You will most likely have leftover ganache you can keep for future treats. Let it cool to set the ganache, or serve immediately. These brownies keep best in fridge or freezer. For those at HIGH altitude: My batch was done at 26 minutes. So be sure to check baking earlier for those at sea level. We use paleo/vegan-friendly dark chocolate chips by Enjoy Life Foods. If you are looking to cut sugar, free free to use stevia in the raw to replace coconut palm sugar. *Arrowroot starch substitute* I have not tried these with other starches, but you could try with tapioca starch. Texture will vary. I made 2 batches of these brownies. One with butter and the other coconut oil. Both delicious but the coconut oil was more moist. 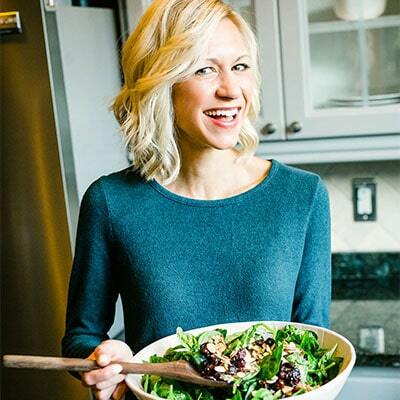 For more flourless inspiration check out @runwithspoons Flourless Baking Cookbook. Estimated Nutrition shown per brownie, WITHOUT ganache. This is using coconut oil versus butter. If you add the ganache, they are close to 300 calories each. Feel free to LIGHTEN the sugar and calories but use xylitol sweetener in place of coconut sugar. Alrighty my friends. Cotter Confessions are up. Time to bust out the eggs, cocoa, dark chocolate, espresso, chai tea, almond milk, coconut oil, and arrowroot flour. Preheat the oven and let’s begin the caffeine induced baking! It’s time .. time to perk up and make ya some! Ya, I just went there. Alright friends, lay it on me. 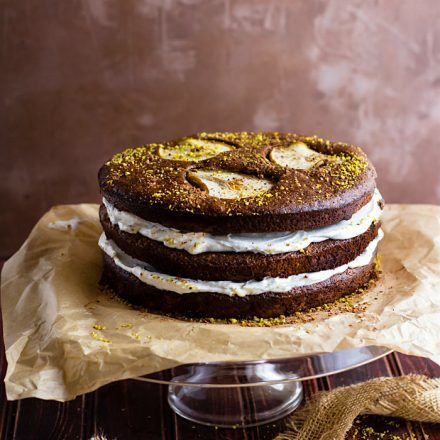 What’s your stress baking recipe of choice? Like I need more. LOL! Cheers to wine, coffee, and dark chocolate. My vices! I want to do dirty things to these brownies. Good grief. Me, too! I’m not a good cook though, I’m not sure I can make it as dirtier as you do to these brownies. Giiiiirl..let me tell you about the tray of pumpkin brownies I ate yesterday, lol! You hit the nail on the head! I always have a sugar binge fest immediately following a long bout of sugar abstinence. I’ve wisened up over the last year or so and try to respect my cravings without going over the top in order to avoid said binges. They do still happen from time to time and are typically stress-induced for me too. Anyhoo, I love the message here – we are all human and shouldn’t expect ourselves to eat perfectly all the time..it’s just not realistic. Plus, enjoying a dirty chai brownie or 4 is what keeps like fun and interesting! All this to say: I need these brownies in my face! amen to that sista! I know you can relate. All the more why I love you so! Chocolate and red wine are my ultimate stress combo… I think I spent August trying to make it a food group. why were we not eat and drinking together? Wow Lindsay! These surely would take care of my chocolate craving! They look amazing! So decadent! I LOVE the instant espresso and the chai tea in these. My 85 year old mother is in Florida right now prepping for the hurricane with my older sister and our oldest son is in Charleston, SC prepping! I’m in need of a pan of these to help with the stress! Need some wine too! That ganache looks incredible and I’m all about some sweet treats that are actually not bad for me to help cope with some of the stress I have been feeling the past two weeks! These photos are stunning too! Major cravings after seeing these. Your photography is seriously awesome! sinful but worth it. LOL! You make me smile so much in reminding me that the guilt and stress is worse than living off of brownies. Honestly there have been days/weeks where I don’t eat many vegetables because they just don’t sound good. Yet my body craves them other times. 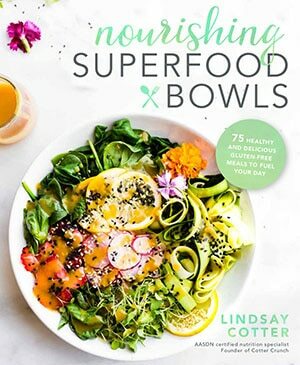 🙂 You have such balance Lindsay, and I also LOVE all of your brownie recipes I’ve tried. I’m hoping to try these before we leave for Europe, but if not before then, I have it bookmarked to try when we come back, Lord willing. :)))) Hugs. <3 I'm thankful for the reminder we're all human too; those weeks of DOWN and stress have been real lately, but I'm thankful for renewed joy this week. I just want to give you a big hug. oh yay! if I deliver, will you take me to Europe? LOL! OMG! I need to try these!! You had me at chai and chocolate!! WOWWW these brownies do NOT look flourless! 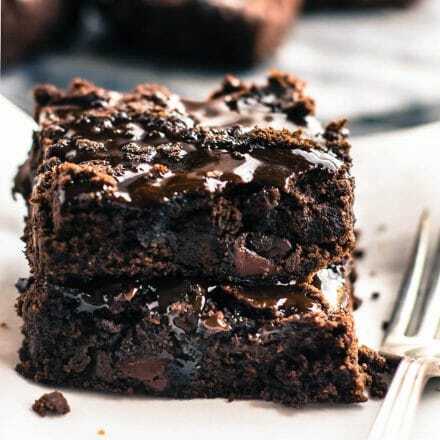 :O I know Labor Day is long behind us, but I’d still want a bite of these brownies! Do you think these brownies will work with flax eggs? I think pumpkin would be better. I used that in my other vegan brownies. Maybe try that, for sure. What the link to the other brownies? oh my gawd, these look incredible!!! YES PLEASE!!! These sound AMAZING! These look amazing!!! I’m definitely adding them to my Fall baking list. What is the pretty stuff sprinkled on top? Is it edible gold sprinkles/powder? woohoo! haha I wish it was gold. I sprinkled extra coconut sugar and cinnamon on top. Confession: you had me at dirty and then you threw in chocolate and caffeine, and now I’m basically putty in your palm. These go on this week’s “to-do” list! On the coconut milk – canned or carton kind? What a cool idea to combine cheesecake and chocolate chip cookies. They look amazing! Do they only 200 calories? It looks very appetizing and immediately wanted to try. Hello! it looks so good! I wanna try it… can I used Flour Chai Spice instead of tea bags, and what should be the proportion? Thank you so much!!!! Hi Nats! Can you explain more about this Chai Spice flour? Do you have a link? Happy to help! I bought this chai spice, let me know if it works in the recipe King Arthur Flour Chai Spice gp/product/B01BZ1Q1PA/ref=od_aui_detailpages00?ie=UTF8&psc=1 Thanks!! These are beautiful and I want to make them today! You mentioned subbing pumpkin for eggs. How much do you suggest? Thanks you in advance!! Good question! I would try 1/4 cup. That should equal about 1 egg. Keep me posted. I think baking times will be different. going to making these today. 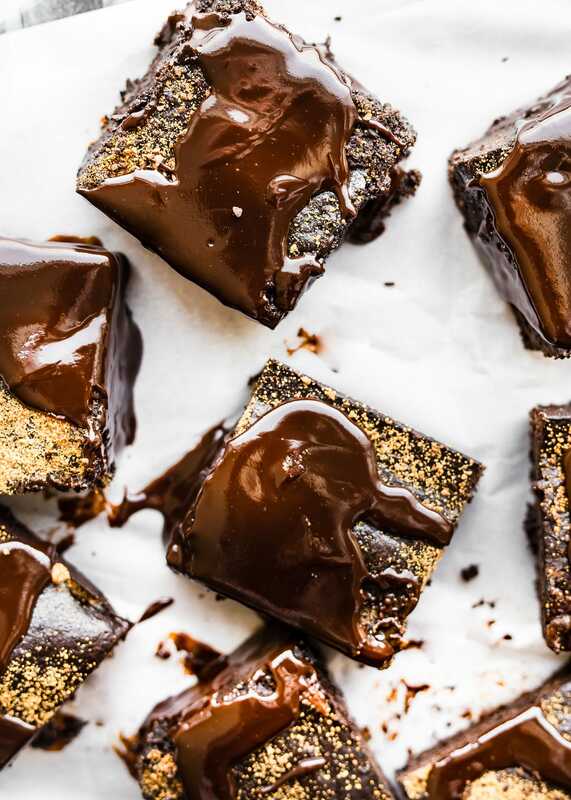 what is the brown crumbs on the brownies before the ganache? I made these today and ate 4! Very good. Did not make the Ganache. Great without it. Thanks for the recipe. Great recipe, though sadly had to modify as I was out of chai and instant espresso. I made a makeshift chai by combining the almond milk, cinnamon, whole cloves and cardamom, then followed the rest of the recipe, though mine were rubbery! I’m thinking I over mixed something, though any other suggestions as to reason for this? Oh no! So strange. Did you use tapioca starch or arrowroot starch. that could be why if you overmixed. Tapioca can be a bit more tricky.